A very easy just over 2 mile spiral hike around and then up to the top of Strawberry Hill, in Golden Gate Park. Birds, birds, birds. During the autumn migration, many birds not routinely spotted in the bay area visit our local parks. In addition to common native birds (towhees, crowned sparrows, juncos, chickadees, hummingbirds, scrub and Steller's jays) you are likely to see a variety of gorgeous warblers darting through the trees. 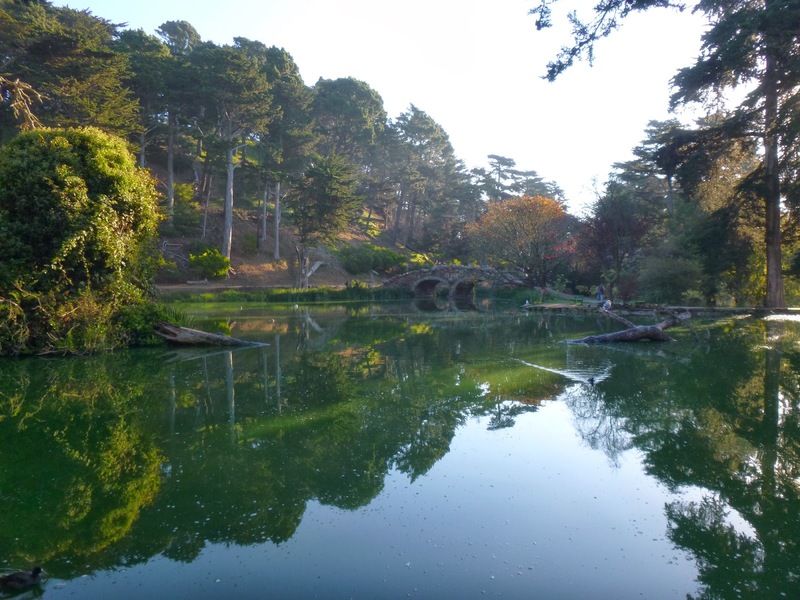 Early November is also the peak for foliage in Golden Gate Park, so even the drive to Stow Lake is scenic. This little walk/hike is one of my everyday choices for exercise and it is wonderful year round. In April look for great blue heron nests near the boathouse island. Great horned owls often nest at the top of Strawberry Hill in spring. Make this hike into an outing -- rent a boat while you're there! Stow Lake Spiral is hike number 57 in 60 Hikes in 60 Miles: San Francisco (third edition). Read about this hike on BAHiker. Don Edwards San Francisco Bay National Wildlife Refuge. A great destination for beginning hikers or families with small kids -- trails are nearly flat. The Refuge, near Fremont, offers interpretive walks including a family bird walk.